We’re still a little in shock that we’re already a few weeks into 2019, but we’re excited to be kicking off a new year with new clients, new projects and a whole bunch of growth for KDD! One of our goals is posting regularly on our blog so that you can stay up to date with the latest trends, things we’re loving and projects we’ve completed! We wanted to start off the new year with our design forecasts—trends we’re seeing emerge and things we love! The cool greys, whites are still beautiful, but 2019 is making way for warmer tones, softer hues that feel cozy and comfortable. Instead of stark white, think warm white, off-whites and textures that warm a space up and make it so inviting! 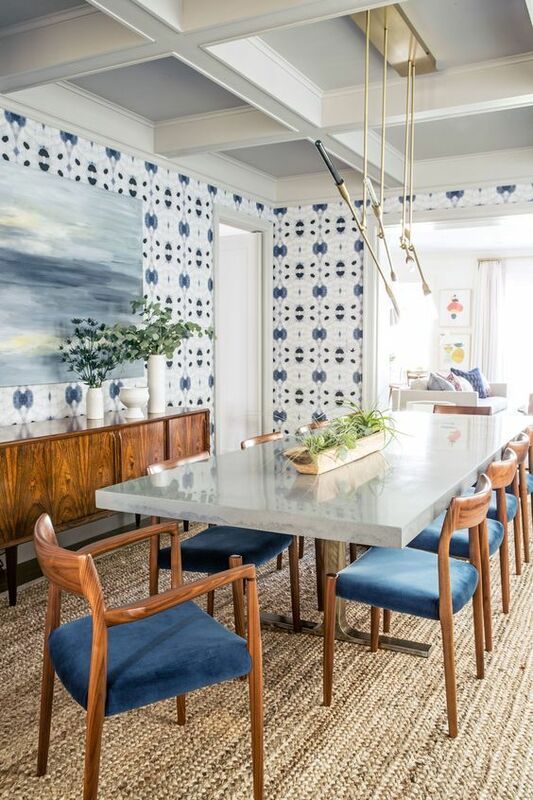 Wallpaper has made a major comeback and we’re absolutely loving it! Forget the boring and stuffy prints that lined your grandma’s dining room—wallpaper has come a long way. You’ll find everything from bold prints, subtle designs and gorgeous textured prints (we love a good grasscloth). It makes such a statement in a small space like a bathroom or even in a large space like this dining room. 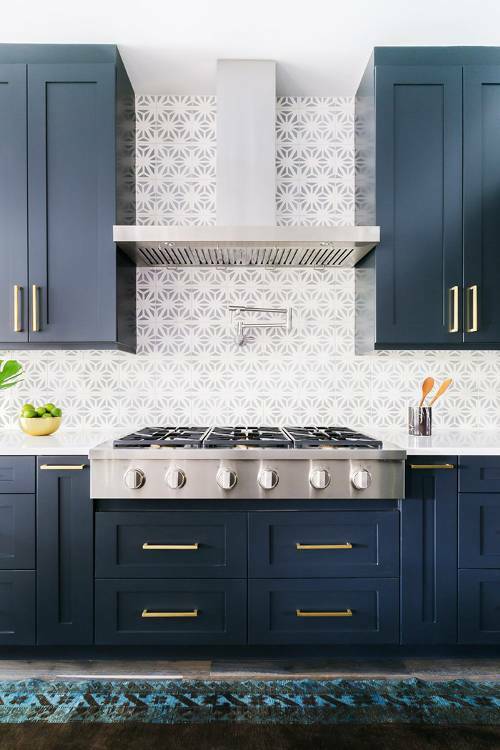 We’re not saying we hate subway tile now, it’s always a good classic, but we’re seeing more bold statements in the kitchen and it’s so fun. 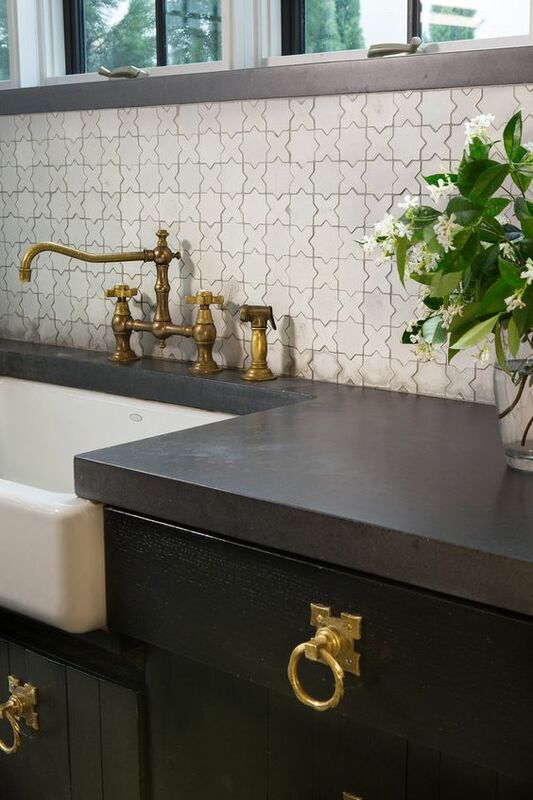 We love seeing printed tiles as well as unique shapes in ever-classic white for a unique twist. 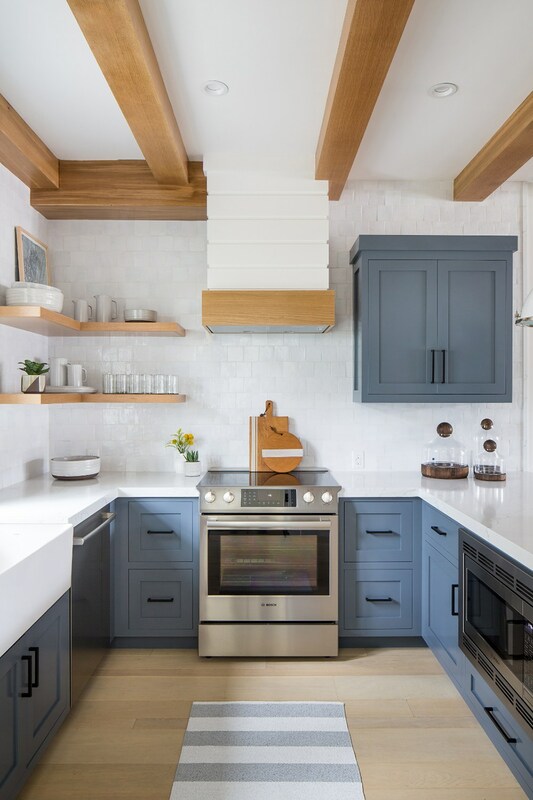 Along with those bold backsplashes, we’re seeing the all white kitchen phase out a bit in lieu of painted cabinets, natural woods and it’s pretty refreshing to see the kitchen get a little bit more personality. We still love white, but are enjoying the mix of white with other colors and materials for a fresh look. Goodbye clutter, hello clean, well-thought out spaces that just make you feel relaxed looking at them. If you need a little help de-cluttering, we hear the Marie Kondo Netflix special will kick you into purge mode! Minimalistic doesn’t have to mean cold though—just check out the last image for some inspiration! 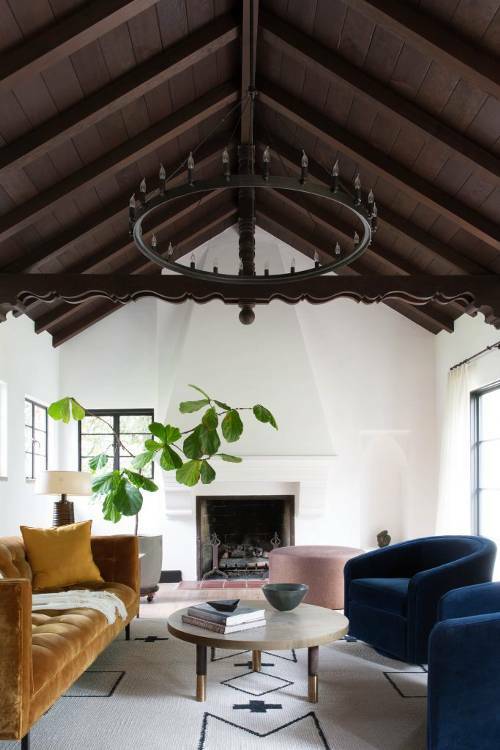 What design trends are you loving this year?! Any that you’re hating? Get our monthly newsletter and stay updated on studio news, projects and exciting announcements!